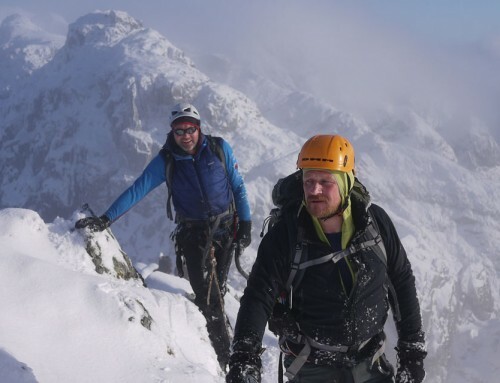 This is a week long trip climbing some of the best winter climbs and winter mountaineering routes in Scotland, from Ben Nevis to the Cairngorms wherever the conditions are best. The week is run by Rob & Huw with climbing at a 1:2 ratio, we can mix and match instructors and clients to suit aspirations and conditions. 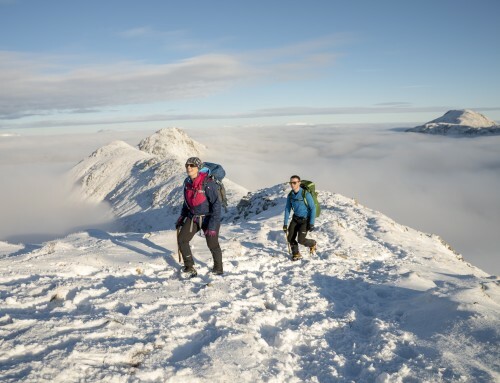 Venues can include Ben Nevis, Glen Coe, Aonach Mor, Creag Megaidh and the Cairngorms. This course is for people who have some previous winter hill walking experience and want to progress to climbing graded winter routes. It is also suitable for people who have experience on graded winter ground and simply want more mileage or to improve their grade. Over the course of the week we will aim to progress you from whatever level of experience you arrive with. 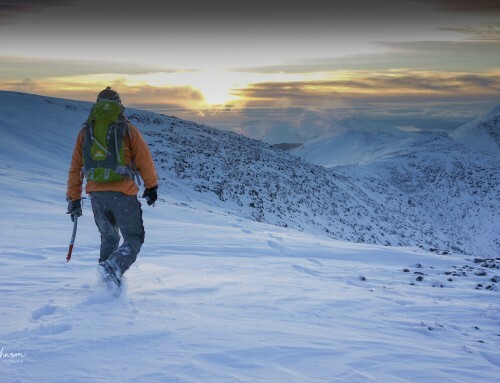 What does the Scottish Winter Mountaineering & Climbing course cover? -Route Finding and personal travel on rocky ridges, gullies, steps, cornices and steep snow. 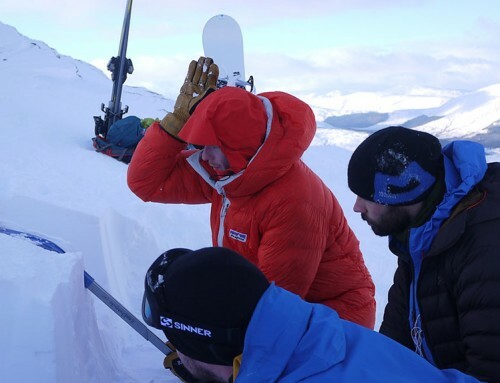 We will use weather and avalanche reports to understand the implications on route choice for the day. We will then head into the mountains to refresh your ice axe and crampon skills and to climb a route that eases you into the week. 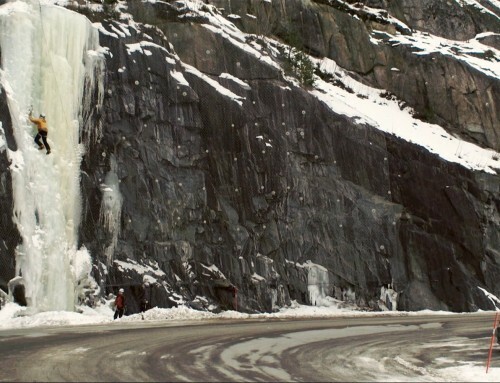 At a ratio of 1:2 will go and climb grade I to V winter routes. The weather will dictate route choice but we will try and cover both gullies and ridges over the week and teach you the skills to protect yourself and your partner on this type of ground. This course is suitable for anyone that has done some winter mountaineering or some winter climbing and wants to spend a week ticking off some great climbs/routes. If you want to do some leading for yourself over the week then we can cater for this. We run the week with 4 clients and two instructors so that we can mix and match ability levels and cater for all requirements. When you book the course we ask you to book your own accommodation and give the details of where we stay so that you can stay nearby. We rent a cottage for the season and occasionally have spare beds, and there is also a B&B and another self catering cottage next door. This gives a great social scene around the climbing. It also means that we can be flexible with our start times – grabbing an early start for big days. The course fee includes the instruction and use of specialist equipment. When you book you will receive a set of course notes and a comprehensive kit list.